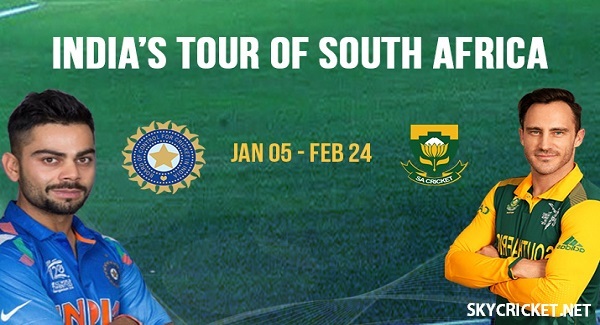 India will face Proteas during their away tour & they will play their first match on 5 January, 2018. The opening Test match will be played at Cape Town. Virat Kohli will lead India in 3 Test matches, 6 ODIs & 3 Twenty20 matches. India recently beat Sri Lanka at home in all 3 formats. They defeated Sri Lanka 1-0 in Tests while secured 2-1 victory in ODIs & whitewashed the hosts in T20s. Rohit Sharma was captain of India in limited overs format while Kohli was rested. South Africa on the other hand beat Zimbabwe in only day night 4 day Test match & the game ended in just 2 days.